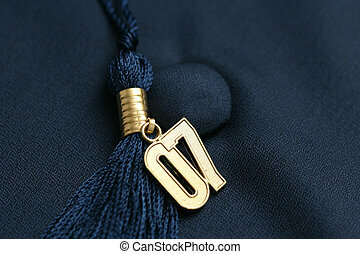 Graduation 07. 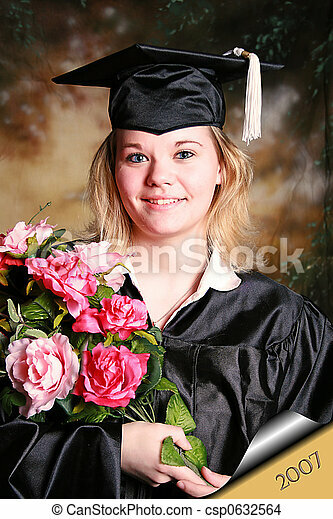 Beautiful young woman portrait for her graduation. 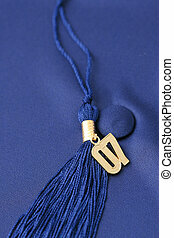 Beautiful young woman portrait for her graduation. 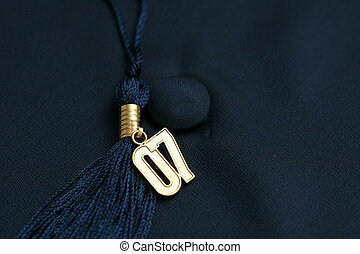 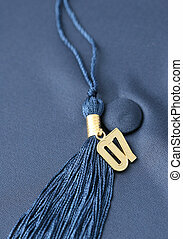 Graduation cap and tassle with a gold \\\'07 attached. 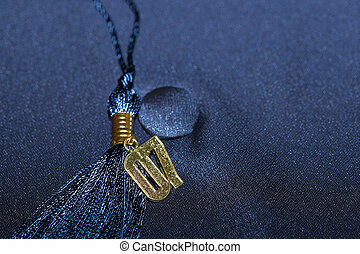 A attractive woman graduate wearing a black cap and gown with gold tassel, holding out a open hand. 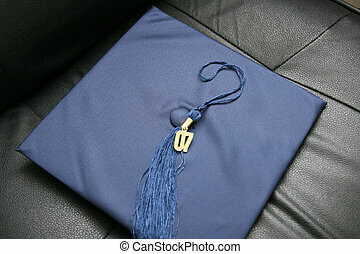 Isolated on a solid white background.